Electronics resource and online component shop Adafruit has this week unveiled a new piece of hardware that will soon be arriving in store, that has been designed to provide an easy way to learn more about electronics and takes the form of an all-in-one board that has sensors and LEDs built in. 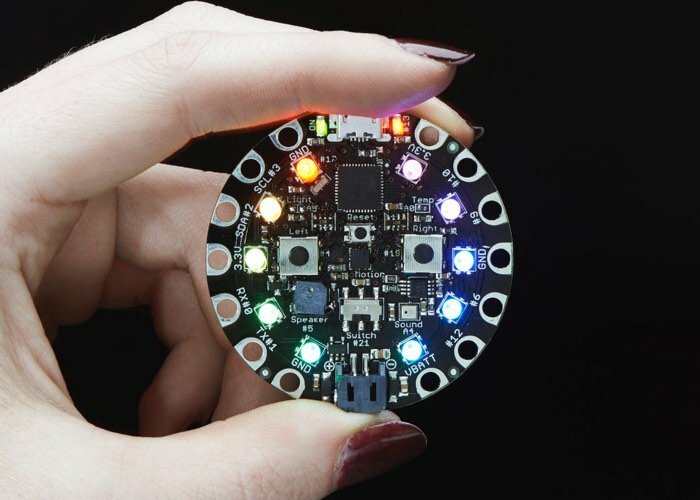 The new Circuit Playground as the circular development board has been named, is equipped with a ATmega32u4 processor in a similar vein to the popular Flora hardware and includes easy-to-use alligator-clip pads around its edge as well as a range of other components such as push buttons. Unfortunately no information on pricing or worldwide availability has been released as yet by Adafruit, but you can register your interest on the Adafruit website via the link below. As soon as any more information is announced by the company with regard to launch date we will keep you updated as always.